Note: Barbell is not included! Maximum weight: 390 lbs. Note: Barbell is not included! 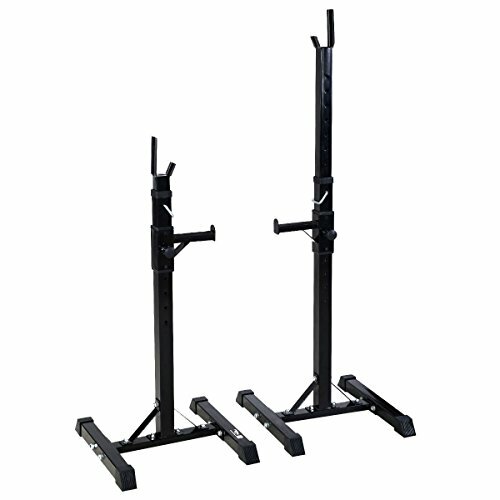 Rubber end caps that protect your floor from scratching This Is A Heavy Duty Standard Solid Steel Squat Stands For Barbell. The Barbell Stands Are Adjustable To Fit Each Person's Height.